Can Teens Have Weight Loss Surgery? Obesity is a disease that can strike individuals of any ethnicity, gender, or age. Teenagers and young people, just like adults, suffer from this serious condition, and treatment options are often more limited due to age restrictions. While weight loss surgery is considered to be one of the most effective techniques to address obesity, this operation is rarely performed on people under the age of 18. Our experienced bariatric surgeon only offers weight loss surgery for qualified candidates age 18 years or older; however, we can be a helpful resource for people of all ages seeking a healthier body mass index (BMI). The long-term effects of bariatric surgery on patients under the age of 18 are not well studied. This is part of the reason weight loss operations are uncommon in this age group, but it’s not the only one. For instance, teens may have more difficulty following the dietary restrictions required by many weight loss surgery techniques. Additionally, any individual considering bariatric surgery should exhaust all other weight loss options before choosing an operation. Many young people can benefit from physician-directed weight loss and support programs that provide nutritional and fitness guidance, which can eliminate the need for surgery. 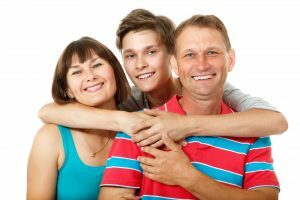 If it is determined that a teen would benefit from a weight loss procedure, it should be performed at a center that specializes in this type of pediatric surgery. Young adults and teenagers deserve the same level of support and care as adults. Dr. James Parrish and our skilled medical team can help. Contact us for more information.